James Bond has inspired a new line of windproof lighters, thanks to a deal between Zippo and EON Productions. In a deal brokered by IMG, the 007 collection features movie poster designs from Dr No and Russia With Love, as well as the classic James Bond gun barrel. 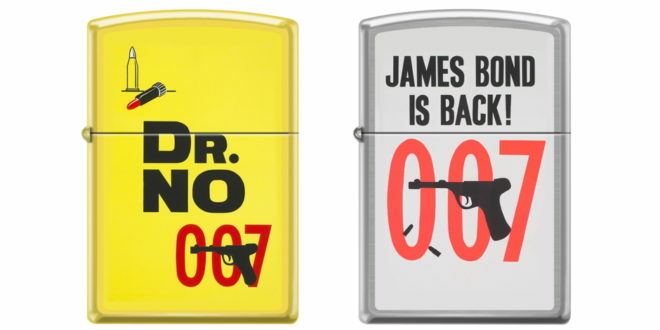 Plus, a wider collection from Zippo dedicated to James Bond poster art is set to launch at retail in time for Christmas 2017. “Zippo and James Bond are both iconic brands, and we are delighted to be partnering again with EON Productions on a collection featuring 007 designs,” said Richard Finlow, SVP of global sales at Zippo.